The top Iranian leader, who rarely admits to making errors, made the remarks on Monday but they were shared on Wednesday by the Twitter account of Khat-e Hezbollah newspaper, a publication affiliated with his official website, Reuters reported. The newspaper said Khamenei’s comments had previously been inaccurately shared by other media. [post_ads]The JCPOA—commonly known as the Iran Nuclear Deal—was made between Tehran and the leaders of the U.S., the United Kingdom, France, Germany, China, Russia and the European Union. When the treaty went into effect in 2016, international sanctions against Iran were lifted in exchange for reductions in Tehran’s nuclear program. Despite all other signatories touting the deal as a success that has curbed Iran’s nuclear abilities, President Donald Trump officially withdrew the U.S. from the agreement, which was signed under his predecessor Barack Obama, in May. Last week, the U.S. re-imposed sanctions on Iran, which Secretary of State Mike Pompeo previously said would be “the strongest sanctions in history when complete." However, even before the sanctions were replaced, Iran’s economy continued to falter regardless of the international agreement. Iranian President Hassan Rouhani and Foreign Minister Javad Zarif initially argued that the deal would bring a windfall of foreign investment, but that promise did not materialize. 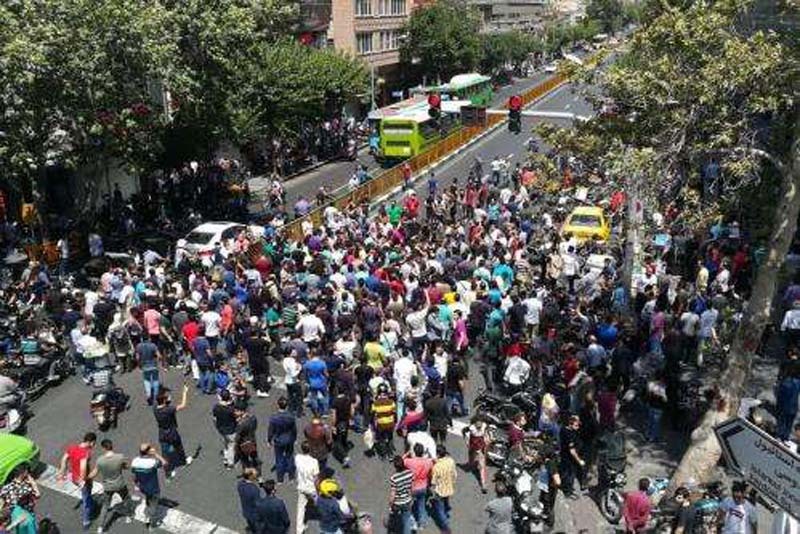 Since the beginning of the year, inflation has rocked Iran, leading to large demonstrations in Tehran and other major cities as protesters called for serious reforms. After the U.S. withdrawal from the JCPOA in May, the economic situation has worsened further as the country braced for impending sanctions.